Extended UK 11mm Dovetail to weaver rail adapters. 17mm high overall, 13mm elevation. 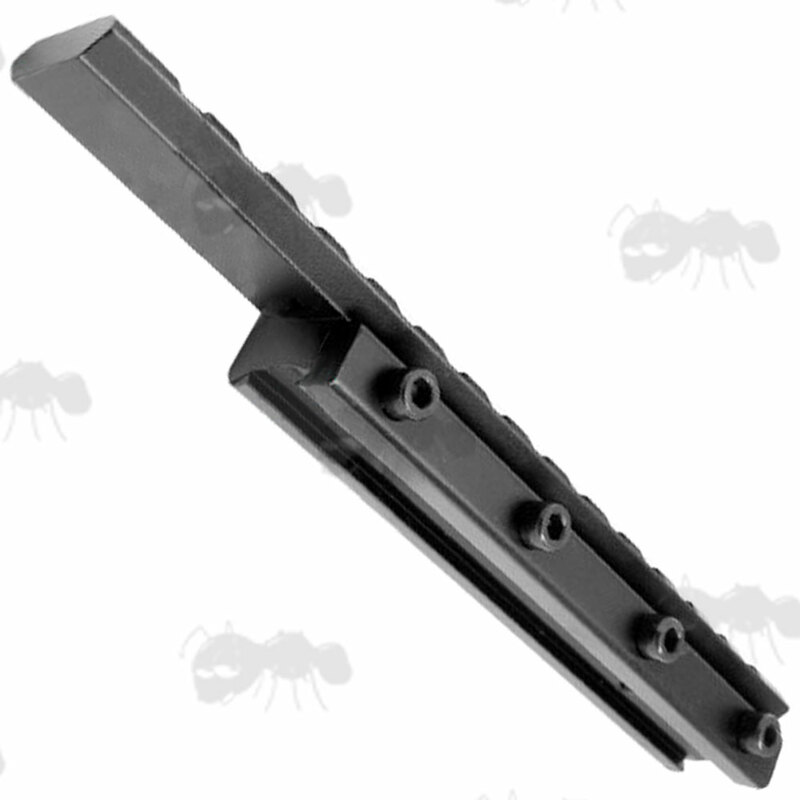 100mm long rail with a 75mm base. 16mm high overall, 14mm elevation. 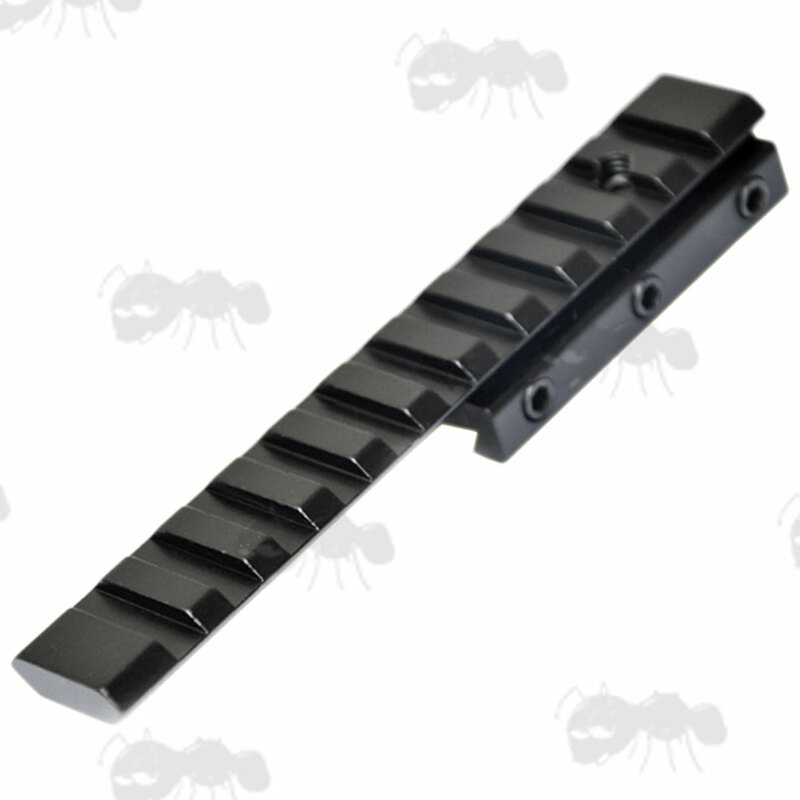 125mm long rail with a 60mm base. 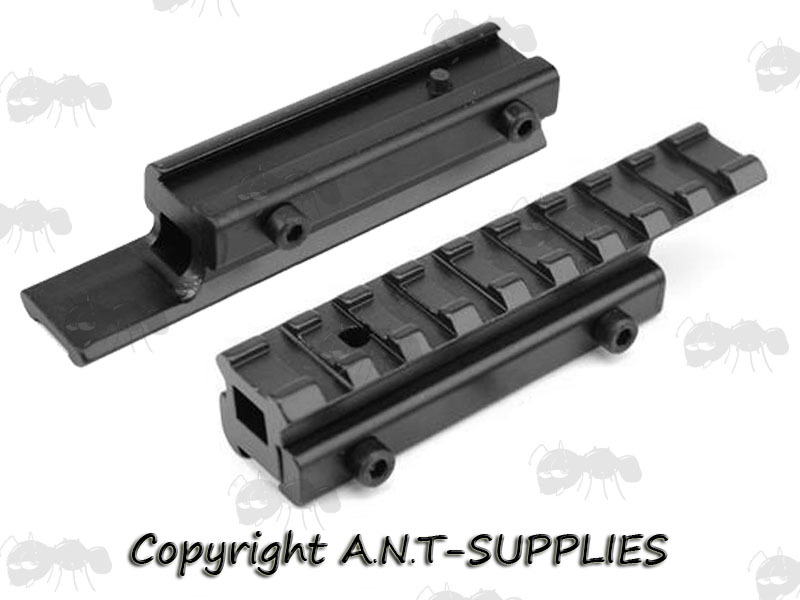 155mm long rail with a 110mm base. 21mm high overall, 18mm elevation. 21mm high overall, 13mm elevation. 125mm long rail with a 15mm feet. 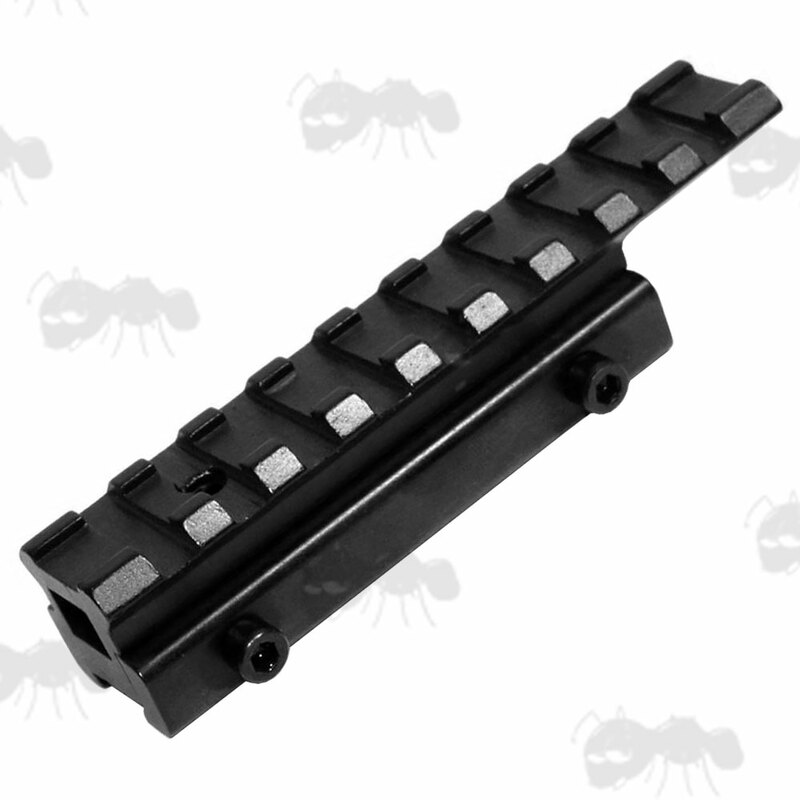 11mm dovetail to 20mm weaver/picatinny forward reach rail block. 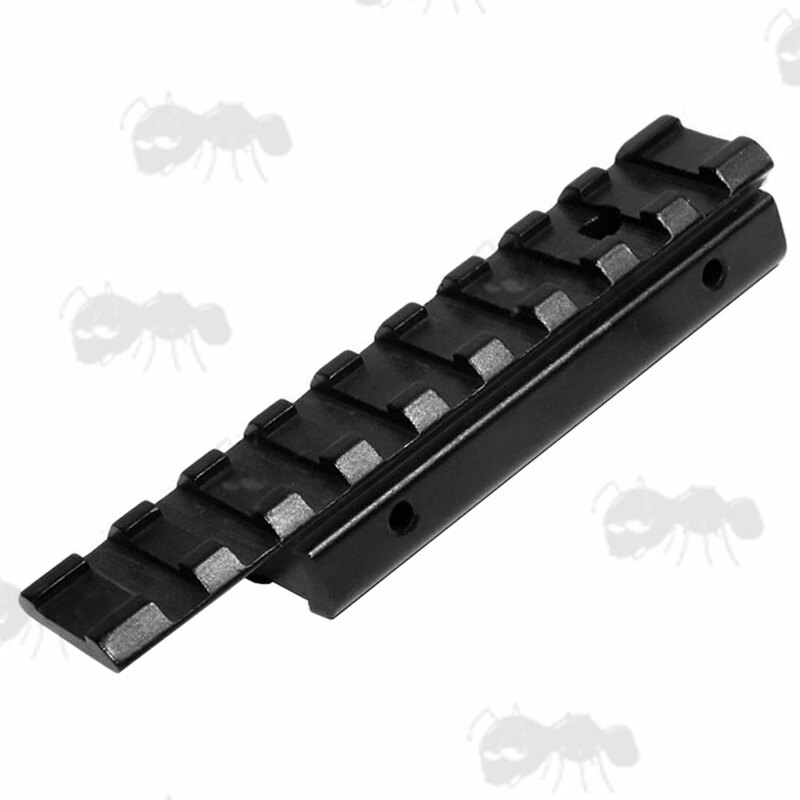 Rail converter for fitting 20mm mounts to your dovetail rail. 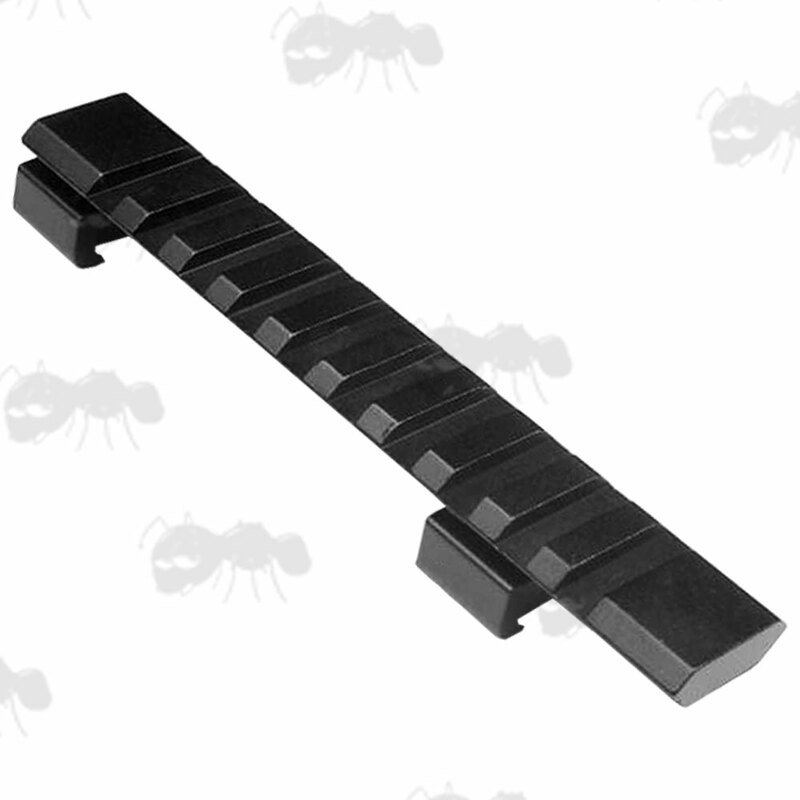 For fitting various devices with 20mm wide rail mounts to 9.5mm-11.5mm wide dovetail rails. All but the low-profile medium rail version (70mm gap between the jaws) are fitted with a removable arrestor pin to prevent scope creep. 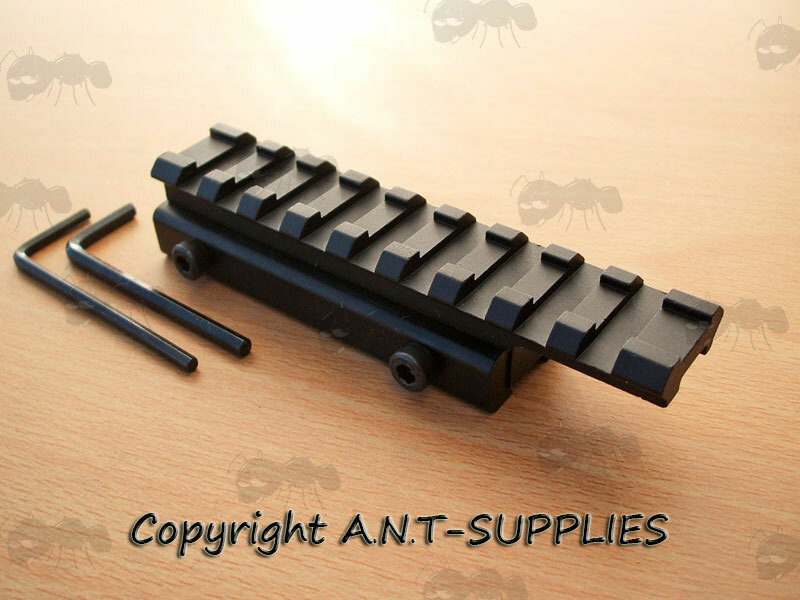 Also available ~ Standard dovetail to weaver rail adapter.